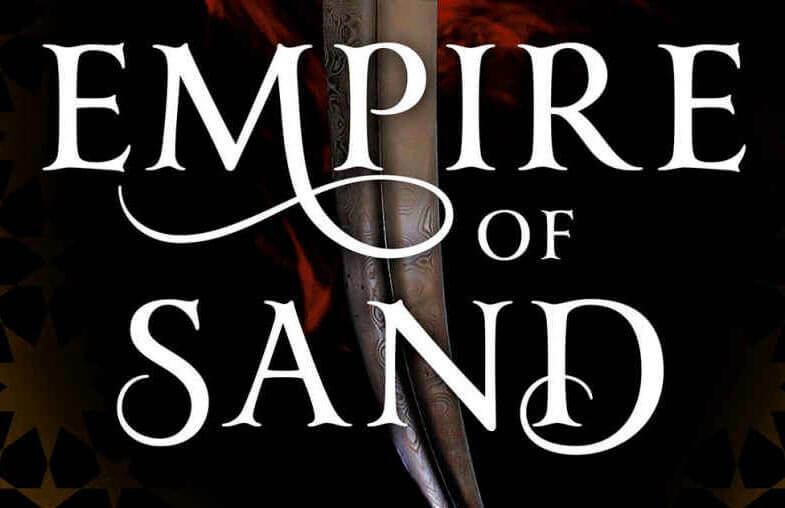 With a lush backdrop of South Asian-influenced mythology and an intriguing desert setting, Empire of Sand is a promising fantasy debut. 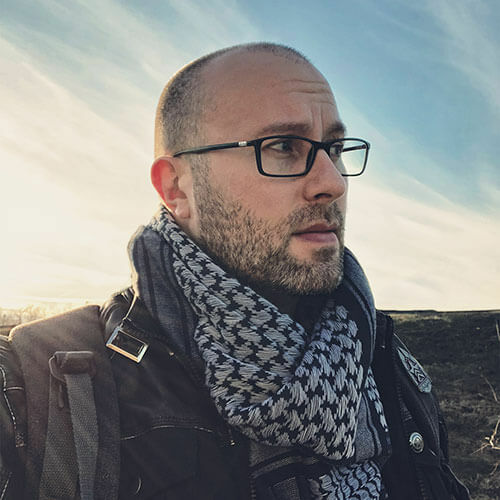 Unfortunately, tepid pacing, cyclical plot elements, and repetitive language diminish the novel’s impact, as do a lack of any kind of surprise as events unfold. 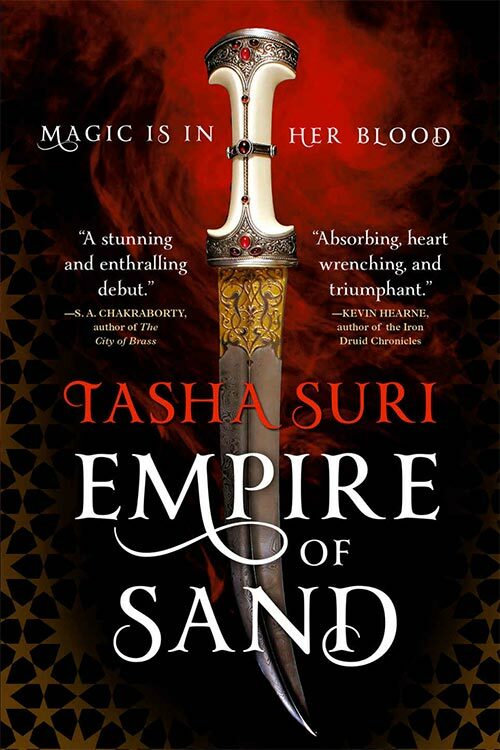 Tasha Suri’s Empire of Sand follows Mehr, the half-blood daughter of an Ambhan governor and an exiled mother from the Amrithi bloodline. Though raised in secluded luxury afforded by her father’s status as a noble, Mehr is subject to consistent humiliation at the hands of her vindictive stepmother. Her father’s wife views Mehr as an embarrassment whose very presence threatens their family and stability. Those concerns, however petty and selfish, are not without validity. The Ambhan Emperor openly abhors the Amrithi, forcing them from the Empire’s affluent cities to the harsh desert outskirts. Many Amrithi are being accosted, or simply disappearing. When that number includes her surrogate mother-figure, Mehr defies the laws of her household and enters the city to help her friend. Her ill-advised excursion is complicated by an oncoming storm, a supernatural event brimming over with dreamfire. These eldritch energies are the byproduct of the dreams of the sleeping gods, great unnamed entities said to slumber under the desert sands. Accompanying the storm are spirit creatures called daiva, ancient children of the gods. Mehr’s Amrithi bloodline is descended from the daiva, which gives her physical blood influence over them. And, as a practitioner of sacred Amrithi dance rites, she finds she has some power to manipulate the dreamfire. Mehr’s journey into the city and interaction with the dreamfire leads to bitter results. Failing to rescue her friend, she also draws unwanted attention from Saltborn mystics, the religious faction of the Empire. Soon, the mystics politically compromise her governor father so that Mehr can be forcibly married to a member of their order, the solemn and reluctant Amun. So ends the protection and comfort of her noble upbringing, as the mystics take her across the desert to serve their enigmatic spiritual leader, the Maha. As originator of the Empire’s ruling bloodline, the malevolent Maha is the true power behind the throne, a seeming immortal who commands a city of zealots. He binds Mehr to his service through her marriage to Amun, so he can exploit their Amrithi-born abilities. He will force them to dance the Rite of the Bound, harnessing the energies of the sleeping gods to sustain the glory of the Empire – and the Maha's unnaturally long life. It is here, trapped in a cycle of slavish devotion and crippling fear, that Mehr and Amun slowly nourish a tentative romance. Amun is trapped in the Maha’s service through unbreakable vows which scar his body and cause him agony at his master’s displeasure. Together, Mehr and Amun desperately seek a path to freedom before the Maha’s control of her solidifies into a lifelong servitude to his immortality. Everything above is essentially the first quarter of the book, a strong start with a great deal of texture and some fascinating world-building. However, once Mehr reaches the Maha’s temples, the story drags to a near-glacial pace. The next 200 pages follow a repetitive cycle of training, oppression, angst, and slow-burn romance. The plot hits cruise control while the author attempts to deepen the emotional connection between Mehr and Amun, and to expand our understanding of the Amrithi rites and their impact on the world. A lot of extraneous scenes involve characters and potential subplots that don’t really lead anywhere. The ones which do matter are well telegraphed and predictable. Empire of Sand is short on surprises and long — very long — on emotional busy work. I found it tedious and frustrating. 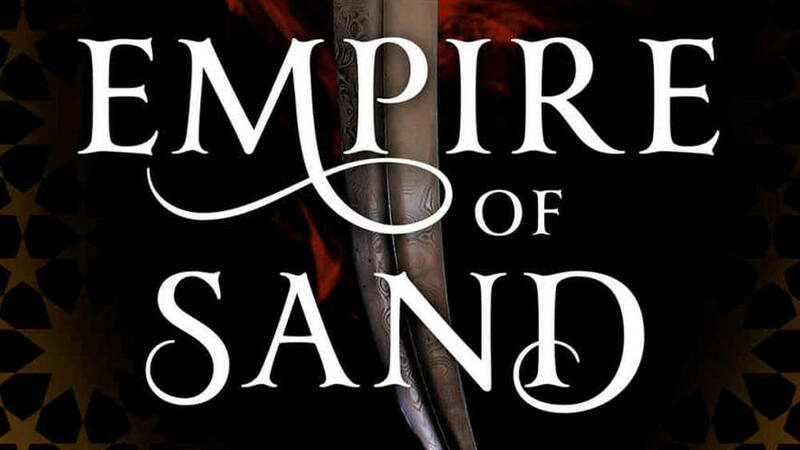 In many ways, Empire of Sand feels just a step off from the frequent conventions of Young Adult Fantasy, and may please YA readers looking for something a bit more mature. Mehr isn’t exactly a “chosen one” – others share her abilities, she just happens to be the right person in the wrong situation. The plot hinges on its love story, but there is none of the love triangle stuff that permeates YA. Instead, Mehr and Amun’s relationship lives under the constant threat of sexual coercion. The full power of the Maha will only exert itself on her when she has physically consummated her marriage to Amun, an act he refuses to perform in order to preserve some of her freedom. They keep their chastity a secret, but know that when the Maha learns of it, he can magically force Amun to do his husbandly duty, an emotional and physical violation for both parties. This overtone of sexual violence is intentionally uncomfortable, but holds sway for so much of the novel that it either becomes tiresome or, worse, triggering. It’s just another manipulative tool of the Maha, a man with penchants for cruelty, and physically and mentally abusing women. He’s very bad in a very casual way. It makes him easy to hate, but Suri doesn’t infuse him with enough depth to feel like a complex character. The Maha is a checklist of powers and flaws, of infuriating traits which invoke images of smug, religious patriarchy. But he’s not much else. Indeed, by the end of the book, I was less frustrated with Suri than with her editors. This is an author to watch, to be sure. There’s a really solid, enjoyable story inside of Empire of Sand. It just needed to be further refined and tightened up. I wish I could rate this higher, but it was just too frustrating to give it more than a 3. I really wanted to like this book, especially after the compelling first act. But I didn’t enjoy most of the latter half of it, though the conclusion is solid enough. It’s all just too ponderous, linear, and unchallenging to anything other than my patience. Probably not. With its YA-ish feel (is New Adult an official category yet?) and heavy romantic plot, this one isn’t precisely in my wheelhouse (though I’ve enjoyed other categorically similar works). The blurb on the back of the book made this sound more like an epic fantasy, a term getting tossed too often on novels that severely lack in the “epic” department. Let’s be honest, the packaging for Empire of Sand is pretty generic. The dagger on the cover is a relatively unimportant element of the story. The typography is strong, but the tagline — “Magic is in her blood” — is incredibly ho-hum. While I’d be open to more from Tasha Suri in the future, I’ll be passing this book along to a better audience for it, and skipping the rest of the “Books of Ambhan” series.